A call to all women skippers! 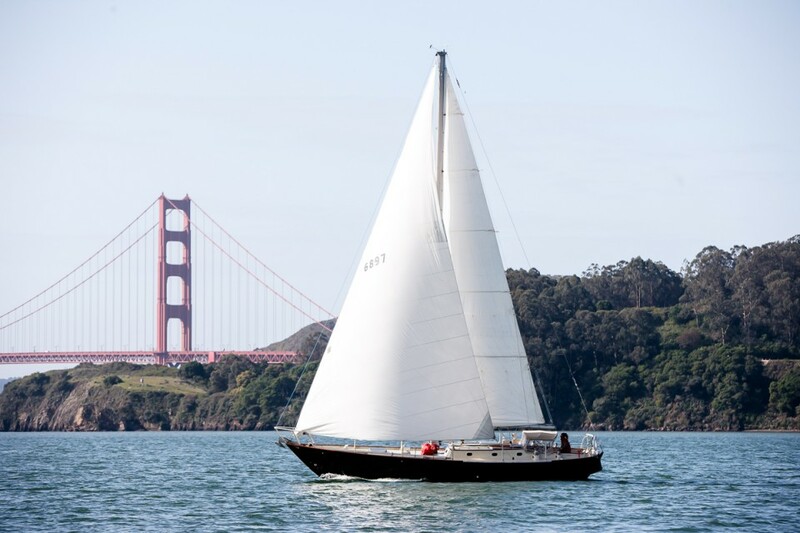 I know you are out there, but for some reason you weren’t on the starting line of the recent Women’s Skipper Regatta hosted by Sausalito Yacht Club recently… yes I’m talking to you, one of the thousands of capable women who regularly skipper boats around San Francisco Bay. The boat may belong to a husband, a brother, a father or even a son, but indeed you can skipper just as well (if not sometimes better) as the men in the family, and you have just as much fun sailing as they do. You probably weren’t thinking about entering a race because nobody asked you to. Well, I’m asking you to consider it for next spring, because you are missing a great opportunity and we need more women skippers on the line! Maybe you don’t think of yourself as a skipper, but I believe that if you are a woman who regularly sails with a crew that you are comfortable with, they will probably encourage you to take the helm for this special regatta. It will greatly improve your skills as a crew, too. This race is the perfect time to gain some confidence and push yourself a little in the company of other women doing just the same thing. Your crew can be all the people you sail with regularly but according to the rules “no man’s hand may touch the helm at any time”. Even if you do think of yourself as a skipper but would never enter a regatta with your boat, this is a great chance to get started racing. I am lucky enough to be one of a handful of women who skipper charter boats for living on the Bay and I was very excited to enter my new boat in the race. I thought about going for a trophy, however, and realized that I had another opportunity that was even more in keeping with an event designed for women: here was a chance to let my daughter drive our boat. In a low-key event full of novice racers I could let her take the helm for the race and really give her self-esteem a big boost. I was a little nervous to do this as we just got the new boat this winter and she would not have much practice. I called in another captain, Jeanette Leckie, to crew with me so we would have two very capable women on board if anything broke. A little bit about my daughter, Ava: she has grown up aboard boats and done a fair bit of dinghy sailing in our pram, two weeks of sailing camp in optis, but nothing competitive. She is a typical 10-year-old full of energy and a little sassy to her mom at times. She is smart, funny and playful, can be very spacey and often doubts that she can do things that she hasn’t tried yet. I didn’t want to push her too hard into what is obviously my passion and already our lifestyle, but I did want her to know how much confidence I have in her. She took the helm a little hesitantly at first and joked around a lot till we said, “Hey it’s time to pay attention and not crash into anyone!” I couldn’t have said that too soon because after a tricky start with 3 tacks to get over the line against a ripping flood tide there was a very loud crash behind us. She instantly got distracted and turned around to watch. We got her focused quickly back on our race and from that time on she was a rock star. It was a learning opportunity to tell her more about the rules after the race. Jeanette and I coached Ava around the course and we got a respectable fourth place in our division at the end of the day. Nobody yelled or cried, in fact we laughed a bit and had a really fun day together. Ava was itching to get a trophy by the end, and really feeling proud of herself. I’m so glad I gave her the helm for the day. I know she never would have asked ME if she could skipper, asking HER was the key. So guys, if you are reading this and there is a woman on your boat who regularly sails with you please consider asking HER to sail this regatta next time around. And ladies, if you regularly are the skipper of your boat we need you on the starting line. Here’s to my excellent crew, Jeanette, and little skipper, Ava, and ALL the women who raced! We had a most beautiful day of sailing with Capt. Heather aboard Cardona early November 2015. She is smart, capable and fun to sail with! We left from the docks at Saucelito and rounded the corner to sail to and under the Golden Gate Bridge….simply devine! It was my husband’s birthday (the big ‘6-0’) and we had a wonderful time. And it was a bit of a homecoming for me because my father, John Carija, designed and built the boat (out of aluminum) in the early 70s! She even had pictures of my dad below as the designer/builder…bitter sweet to see since my dad has now passed. My dad would be very happy to see someone so capable and so lovingly take care of and enjoy his first boat….a dream come true for my dad! Thanks Heather for a lovely afternoon and for loving my dad’s boat (now yours) so much! Hope you and your family make the trip to the East Coast one day where my families marina in Mystic, CT would be delighted to host you! Bravo! Hope our paths cross again! My nephew Noah may contact you to see the boat…he lives in SF.